At this year’s AMB in Stuttgart, Germany, Okuma introduced the new GENOS M460V-5AX for the first time in Germany. The affordable 5-axis machining centre offers an excellent price-performance ratio without any compromises regarding the quality. With a new visitor record and more exhibitors than ever before, this year's AMB in Stuttgart, Germany, has grown significantly. Okuma, represented at its German distributor’s stand, Hommel, also presented growth at the trade fair as the new GENOS M460V-5AX premiered in Germany extends the machining expert’s product range. With the new machining centre, Okuma now offers an affordable yet highly precise manufacturing solution that not only allows for flexible multitasking but also offers high productivity. Equipped with a high-speed spindle capable of running up to 15,000 min-1 and rapid traverse speeds of 40 m/min (ipm) for the X and Y axes and 32 m/min (ipm) for the Z axis, the machining centre effectively reduces cycle times. In addition, the machine offers a small footprint. 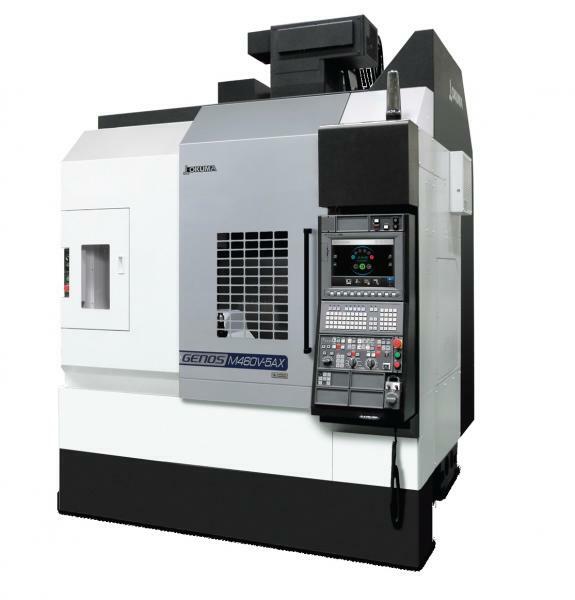 A whole range of Intelligent Technology applications ensures that GENOS M460V-5AX provides an exceptional level of productivity while maintaining excellent dimensional accuracy. The Thermo-Friendly Concept, for example, compensates thermal deformations and shortens warmup times significantly. This way the application improves the machine’s precision and productivity. The premium solution Hyper-Surface also aims at increasing the machine’s productivity and the workpieces’ surface quality. It does so by automatically correcting the cutting data. The optimised data allows for faster spindle movement, improves the surface quality and makes manual finishing obsolete. Customers can choose from a wide range of additional Intelligent Technology applications and Premium Solutions to customise and optimise their machine to their needs.